The 2019 Auto Shanghai Show is scheduled to take place from tomorrow onwards. 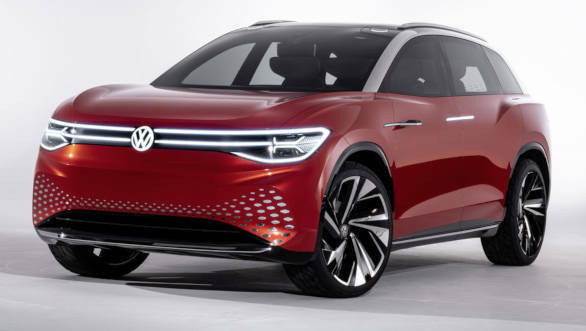 And Volkswagen has become the first automobile company to unveil their latest offering in the electric automobile space, called the I.D. Roomzz electric SUV which is a concept for now. Volkswagen mentions that I.D. Roomzz is a zero-emission SUV of the five-metre class which has been developed for both, personal as well as commercial applications. 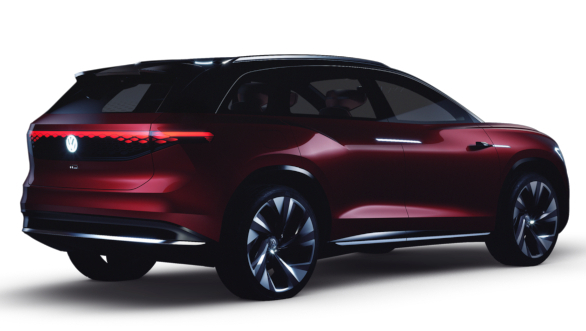 The electric SUV will be initially launched in the Chinese market in 2021. In terms of technical details, the VW I.D. Roomzz comes with a 82kWh battery that boasts of a range of upto 450km (WLTP) or 475km (NEDC, China). The concept car can be charged up to 80 per cent in half an hour with the help of a 150kW DC fast charging. Two electric motors can continuously drive both axles with a system output of 225KW/306PS (electric 4MOTION). The I.D. Roomzz can accelerate to 100kmph in 6.6 seconds and reach top speeds of up to 180kmph (electronically regulated). Further, the Volkswagen I.D. Roomzz gets a distinct dashboard. In the manual mode, the digital cockpit along with the steering wheel appears to hover in front of the driver. The digital cockpit consists of a full glass-front panel. The digitalised steering wheel has been conceptually integrated into the panel. The seat covers, for example, are made of Apple Skin which is a new product that consists of a renewable raw material. The door panels make use of specially processed wooden veneers. The CleanAir system uses an active filter system to ensure that the air in the vehicle interior remains clean even if the ambient air isn't. When the driver switches to fully automatic driving mode, the individual seats can be rotated inward by 25 degrees. When the car is being driven in full automatic mode, the I.D. Pilot Relax mode allows each passenger to adjust their seat individually to suit their needs. "This SUV is a monolith, appearing to be seamlessly machined from one solid block. The battery-powered I.D. Roomzz moves effortlessly  silently and without emissions," says Klaus Bischoff, chief designer at Volkswagen.